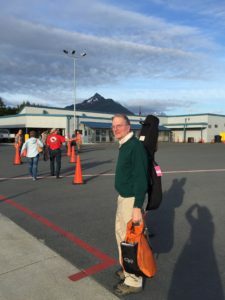 This picture shows Will arriving in Sitka, Alaska, where he boarded M/V Liseron for a cruise of adventure and musical performances. 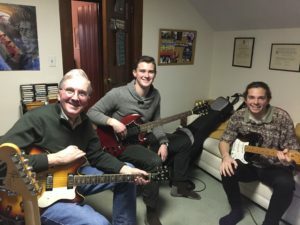 Here’s Will getting together for a jam session with two great Brookline Music School Alumni, Ben Fox and Mario Lepore. Posted in Uncategorized on January 13, 2017 by willdick.